It’s necessary to be clear here — the original sin here was the real estate bubble, a bubble which could and should have been the object of anti-bubble policy, and which wasn’t, because of a massive, ghastly policy error on the part of the Federal Reserve. This is Dean’s thesis, and he names the guilty men. ….None of the arguments made by housing bulls during the bubble made a lick of sense, for the simple reason that the ratio of house prices to rents was constantly increasing — any fundamental change in the economics of housing ought to have shown up equally in the rental market as in the market for house purchase, and the “buy versus rent calculation” wasn’t an anomaly or a quirk — it was a simple and easily comprehensible piece of information showing that prices were in a bubble, which was almost universally ignored. There’s a lively debate in the economics community about whether it’s possible to recognize bubbles as they’re happening. For example, we still don’t know for sure if the 2007-08 oil runup was a bubble or whether it was caused by fundamental issues of limited supply and rising demand. (Probably a bit of both, it turns out.) But as both Dean and Daniel point out, housing is different. In the housing market there are several well known and historically rigorous metrics that do a pretty good job of telling you whether prices have become untethered from reality. The ratio of price to rents is the most fundamental, but there’s also price-to-median income and mortgage payments as a share of income. 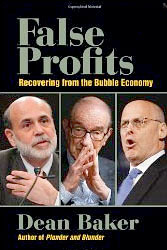 By 2002 all three had started to rise dangerously, and by 2004 they were plainly in bubble land. Even if it’s true generally that bubbles are hard to distinguish reliably, this one was easy. I’ve mentioned before that I sort of waffle about how important all the other stuff was (the overseas savings glut, the credit derivative free-for-all, reckless abuse of leverage, ratings agency corruption, etc. ), but no matter how important it was, the housing bubble was plainly the ur-cause underlying everything else. The Fed should have been doing something about it, not egging it on.